Glenn Close Joins Fellow Perpetual Oscar Bridesmaid Amy Adams in Hillbilly ElegyNetflix is going full-awards-court press. Ron Howard Directing 68 Whiskey Dark-Comedy Pilot at Paramount NetworkIt’s a U.S. adaptation of an Israeli series. Justin Hartley on Kevin’s Transformation in This Is UsPlus, what it was like working with Sylvester Stallone. Ron Howard Is Looking on the Bright Side Despite a Lackluster Solo OpeningHe still feels the force. Every Ron Howard Movie, RankedFrom Solo: A Star Wars Story to Cinderella Man. George Lucas Gave Ron Howard One Little Directing Tip for SoloWho knows Han better than George Lucas? Paul Bettany Is Joining the Han Solo Star Wars Spin-offDirector Ron Howard announced the casting news on Twitter. Ron Howard Reveals a Mustachioed Donald Glover in His Latest Social-Media PostThe Han Solo director’s social-media feed from the set continues to be excellent. Bad News: Michael K. Williams Cut From Han Solo Star Wars SpinoffHe was going to play a half-human, half-animal character. In Appreciation of Ron Howard’s Instagrams From the Han Solo SetRon Howard is your overexcited dad, trolling us all with photos from one of the most secretive sets in history. NDAs Won’t Prevent Ron Howard From Sharing Behind-the-Scenes Star Wars MomentsBut what do the electrical outlets mean? After the Han Solo Firing, Will Hot Directors Work With Lucasfilm Again?Who’s at fault? 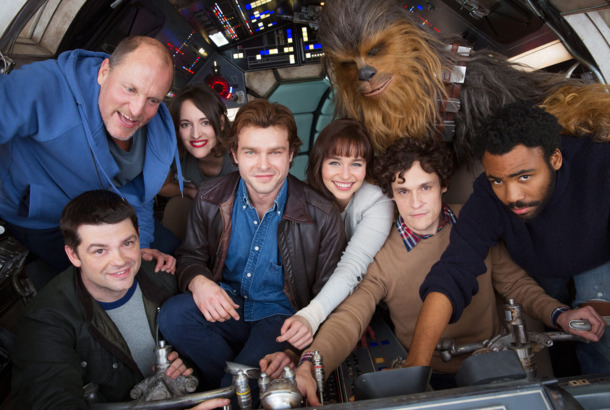 And what’s going on with Alden Ehrenreich? Ron Howard Will Reportedly Direct the Star Wars Han Solo SpinoffChris Miller and Phil Lord were fired earlier this week. Genius = A Reasonably Good DramaIn which Einstein does higher math and, also, several women. Hillbilly Elegy Author and Regular Joe J.D. Vance Lands Ron Howard Movie DealVance’s book about growing up in Appalachia will become a movie. Ron Howard Remembers Bill Paxton’s ‘Charm’ and ‘Admirable Joie de Vivre’Bill Paxton, actor in Apollo 13, Aliens, and Twister, died on Sunday. He was 61. Odd Couple Will Honor Garry Marshall With GuestsRon Howard, Penny Marshall, and other stars pay tribute. Ron Howard Reacts to Tom Hanks’s Impression of Him on SNL“Maybe he’s mad at you,” Conan suggested. Get Jazzed: Jennifer Lawrence Is Playing Zelda Fitzgerald in Ron Howard Biopic One “It” girl playing another. Trump Gets the Arrested Development TreatmentOnly Opie can save us now. Apollo 13 Team Reuniting for Spacey SevenevesThe Ron Howard–Bill Broyles–Brian Grazer reunion you’ve been waiting for! Arrested Development Season Five Is Just Inching Toward That GreenlightAlmost there! How In  the Heart of the Sea’s Mammoth Whale Was Brought to LifeDirector Ron Howard and visual-effects supervisor Jody Johnson talked through the creation of a key shot. Ron Howard Is Set to Helm Girl Before AdapationWhich is a book that hasn’t come out yet, but is coming soon. What Would Ron Howard’s Phantom Menace Be Like?Or any Ron Howard superhero movie, for that matter. Ron Howard Was an Early Jake Lloyd DefenderRon Howard wrote a letter to an early critic. See the New Trailer for In the Heart of the SeaThis will be the harpoon-iest movie of 2015. Ron Howard to Produce 4 Series for VimeoThey’re also working with some YouTubers. Watch the Trailer for Ron Howard’s Whale Movie In the Heart of the SeaThis will surely be your dad’s favorite movie of the year. Ron Howard in Talks to Direct The Jungle BookReplacing Alejandro González Iñarrítu. Ron Howard’s Making a Movie About an Eighties Drug RunnerIt’s based on a true story. 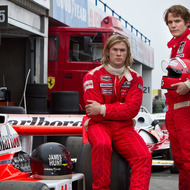 Movie Review: RushChris Hemsworth and Daniel Bruhl star as rival Formula One racers. Hanks, Howard to Make Third Da Vinci Code MovieBased on Dan Brown’s Inferno. Rush Trailer: Too Fast, Appropriately FuriousChris Hemsworth can drive my car — beep-beep, beep-beep, yeah! Warner Bros. Interested in Howard for Whale TaleRon Howard is in early talks for a movie based on a Nathaniel Philbrick book. Ron Howard Eyeing Neil Gaiman’s Graveyard BookAs a live-action film rather than an animated project. Ron Howard Attached to Abrams’s All I’ve GotAbrams’s Bad Robot is developing the film at Paramount. See James Murphy Solicit Your PhotosGood to see he’s keeping busy!